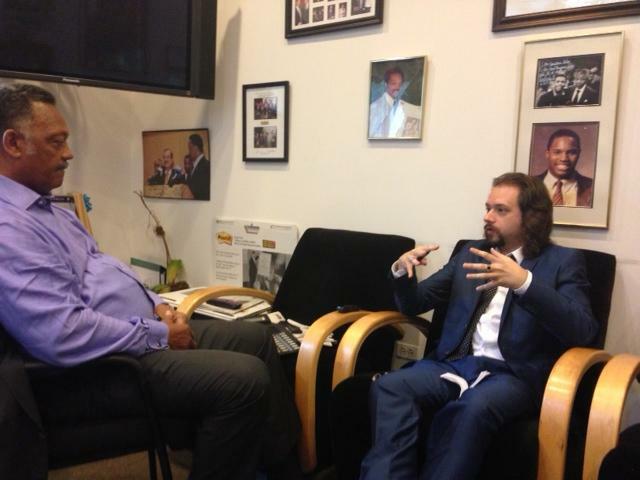 I recently had the pleasure and privilege of enjoying a two hour conversation with a hero of mine, Jesse Jackson. I told Jackson that the work he did, along with Martin Luther King, Rosa Parks, Medgar Evers, and others, not only freed black people in the United States from a brutal system of apartheid, oppression, and exploitation (work that continues), but also saved me – a white man born in 1985 – from inheriting the role of occupier, oppressor, and executioner. Albert Camus wrote that people must aspire to live as “neither victims or executioners.” The “Parks-King-Jackson” injection of freedom and justice into American democracy empowered all people to enjoy such aspiration. In my new essay for the Daily Beast, however, I do not write about the civil rights movement, but the electoral extension of the civil rights movement – the Presidential Campaigns of Jesse Jackson in 1984 and ’88. Important and liberating, Jackson’s campaigns deserve much more attention and celebration than the Democratic Party – often ungrateful – and the mainline media – often stupid and destructive – gives them. In my new essay, I’m happy to, I hope, begin the reversal of such an ignorant trend.